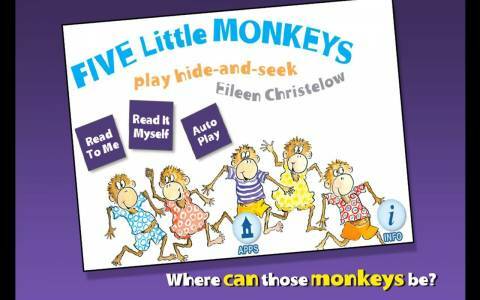 What it is: an interactive version of the book by Eileen Christelow (about 20 pages long) + a simple counting activity. 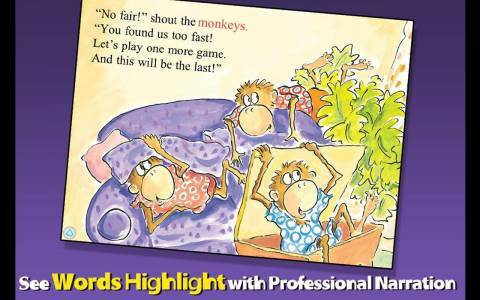 What you do with it:three ways of 'reading' this book: listen to the narrated story with the words highlighted, read as a 'traditional' book and auto play (automatic reading and turning the pages). Tap on the pictures to hear the associated words read out. 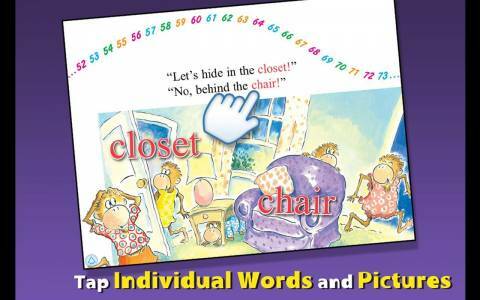 Additional activity: tap the numbers to count along (there are 3 'counting' scenes with numbers up to 10, 24 and 104). What we liked: the story. Original artwork. Picture-word associations. Professional narration. Sounds and sound backgrounds. Good navigation and reading options (easy access to single pages, words are highlighted when read by the narrator, you can easy repeat a paragraph). The option to record and share your own narration. What we didn't like: limited interactivity (there are only picture-word type animations).